Yesterday, my boys were showing me video clips they had taken of each other. There was a close-up of my four-year-old’s face. “My favorite person,” he began, with his endearing pre-school mispronunciation of “favorite.” He dropped to a whisper for effect, “is my brother.” My nine-year-old beamed. Even though he gets annoyed with the little guy sometimes, he realizes what a gift his love is! Last weekend we went on a road trip to Mississippi to celebrate my grandmother-in-law’s 90th birthday! Grandma is famous in her small town for her skits and her songs. So, of course, she put on a skit for the grand finale of her party. I sat next to her 92-year-old sister, Joy, in a Victorian house. Grandma told stories about their childhood as Joy watched with rapt attention. When Grandma made us laugh, I looked at Joy. “I just love her so much!” Joy said, her eyes glistening. I know that bond. Immediately, in my mind, my three sisters and I were in our 90s. (Well, I suppose my baby sister would still be a spry 80 something if we older three were in our 90s.) Just like Joy and Grandma, we were giggling and girlish, the only real difference being that we had breathed a few more breaths and our hair had lightened to a shining white. We are like Joy, you see. Joy couldn’t have been any prouder of Grandma had she been performing on Broadway. I look at my sisters with that same glowing adoration, and sometimes I feel the warmth of their gaze upon me. Love sees the heart, the truth, the very best in someone! Being at Grandma’s 90th, surrounded by family, reminded me that success can only be measured by the love in your life. I’m glad Grandma didn’t take her acting ability to Broadway or Hollywood. 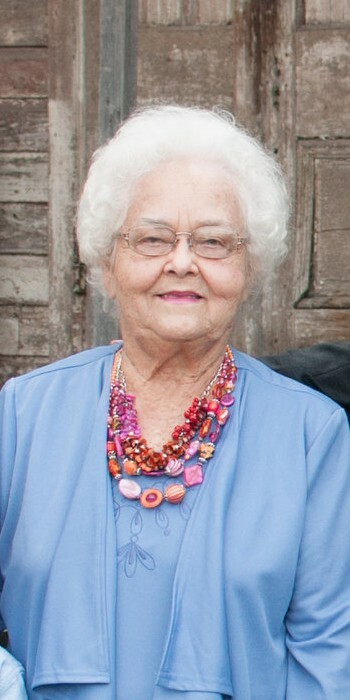 I’m thankful she was a faithful wife to a lawyer in small town, Mississippi, that she reared three confident daughters, that she overcame her grief-filled youth, that her laughter rings with joy, that she has a strong faith in her Savior, and that she is a beacon of love for her grandson (my husband). Looking down the length of three dining room tables (pushed together and covered with white lace tablecloths, graced with goblets of sweet tea) full of cherished family members, Grandma’s success was easy to see. And, once again, it struck me that the meaning of life gets a lot clearer when you are gathered around a blessed meal with loved ones. This entry was posted in Inspiration from Others and tagged meaning in life, success, The bond between siblings. Bookmark the permalink. This post made me smile and feel all warm and fuzzy inside. Thank you, Carol, for inspiring all of us through your writing. I would love to visit with Grandma sometime. Sweet thoughts. Thank you for sharing!